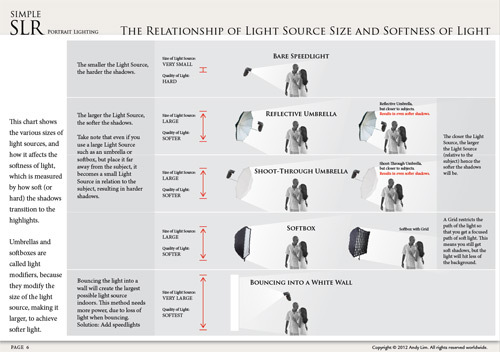 SimpleSLR Portrait Lighting - Learn portrait lighting techniques and portrait photography lighting with speedlights with this lighting guide. 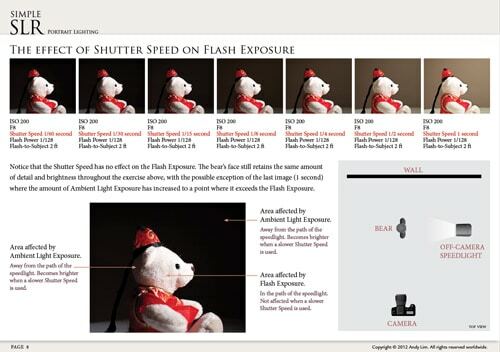 Create natural looking photography with flash. 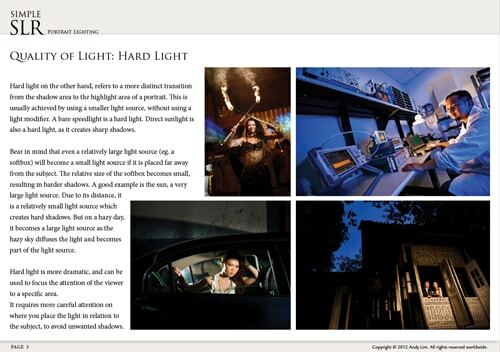 Get started today with flash photography, a crucial skill in a well-rounded portrait photographer. 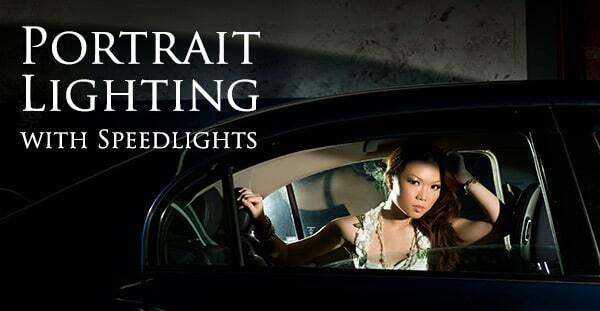 Andy Lim of Emotion in Pictures reveals how he combines speedlights with available light to create compelling portrait photography. 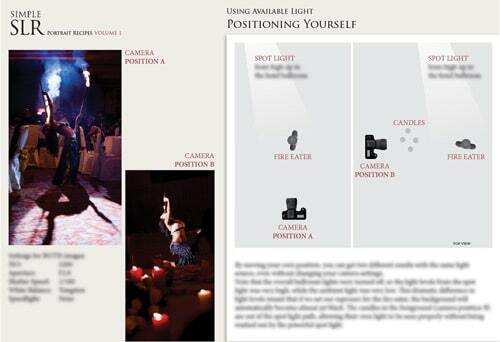 Take control of your lighting, a key aspect of wedding and portrait photography. 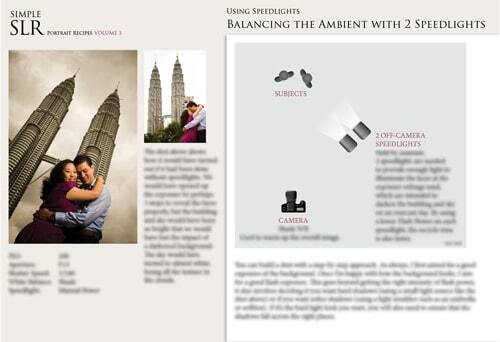 Light your portraits using 3 methods: speedlights, available light and natural light. 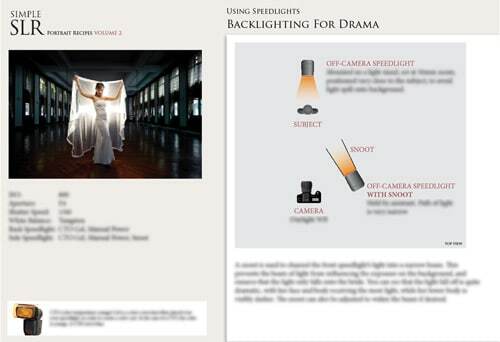 Simple lighting techniques that create powerful results. Created very quickly using the most basic equipment. 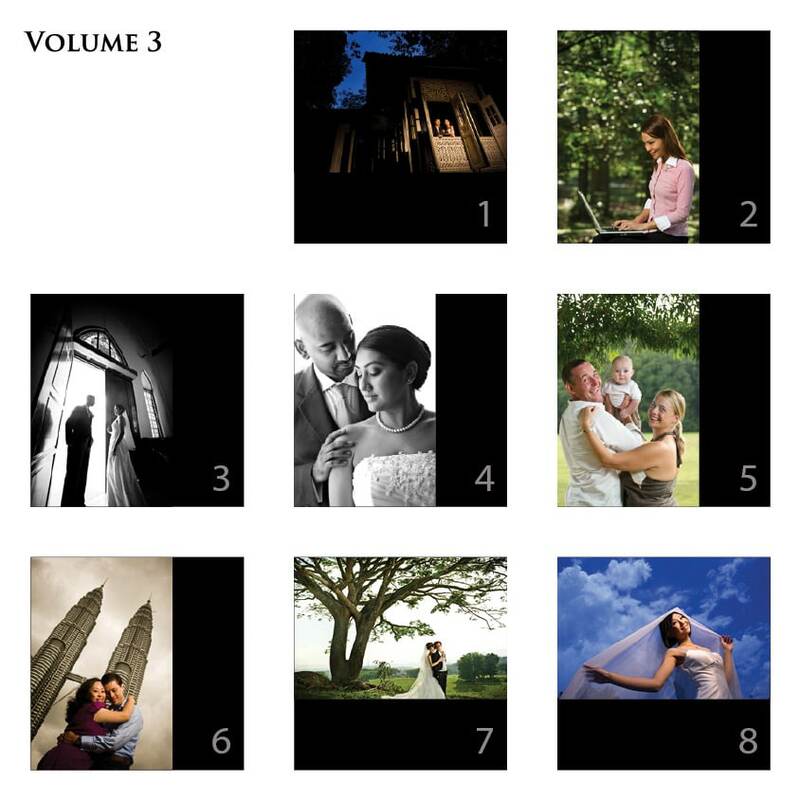 Replicate the same amazing results in your own shoots! 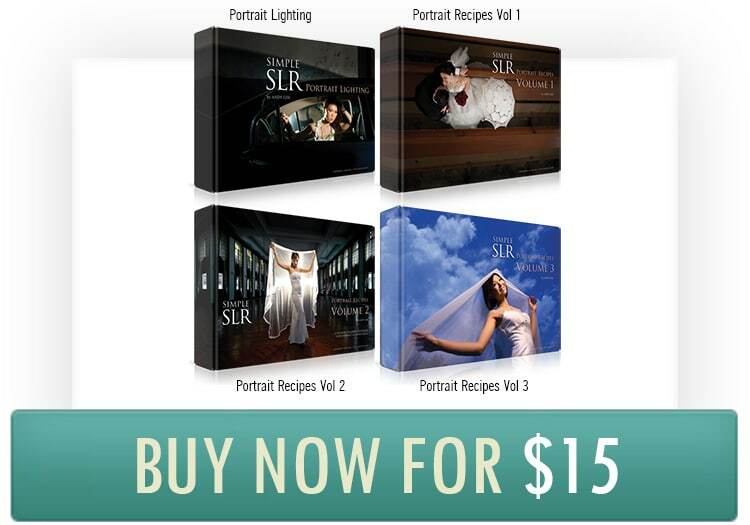 Portrait Recipes VOLUME 1, 2 and 3 (available individually) are companion guides that contain 24 different detailed lighting setups where various portrait scenarios are illustrated and tackled. You will see why Andy chose the settings he used, and also be able to see how different settings would have resulted in a different feel in the portrait.